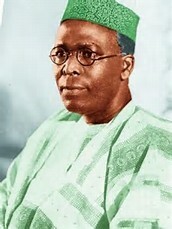 ON May 1, 1967 at a meeting of Leaders of thought of Western Region, Chief Obafemi Awolowo made the following declarations: “I consider my duty to Yoruba people in particular and to Nigerians in general to place four imperatives, two of them categorical, and two conditional. (1) Only a peaceful solution must be found to arrest the present worsening stalemate and restore normalcy. (3). If the Eastern Region is allowed by acts of omission or commission to secede from or opt of Nigeria, then Western Region and Lagos must also stay out of the Federation. (4) The people of Western Nigeria or Lagos would participate in the Ad hoc Constitutional Committee or any similar body only on the basis of absolute equality with other Region of the Federations”. It was the gravest statement made by any leader in Nigeria at a crucial time. The same Chief Awolowo made another controversial statement on July 6,1974 at the University of Ife when he said: “the 1973 census is a barren exercise”- an event which I covered for The Nigerian Tribune. We shall come to that later. The question is why did the Western Region not follow the Eastern Region when it seceded on May 30, 1967? The Daily Sketch which published in full Chief Awolowo’s speech on May 2, 1967 sold in Enugu at two shillings per copy which is more equivalent of today’s six hundred naira. The speech was a hot cake. Then there was the argument that the fate of the Yorubas in Ilorin and Kabba provinces at that time was not properly addressed in that speech considering the political influence of Chief Josiah Sunday Olawoyin (1935-2000) and later leaders like Chief Cornelius Olatunji Adebayo (76), my friend Chief Ayo Opadokun and Dr. Abubakar Olusola Saraki (1933-2012). 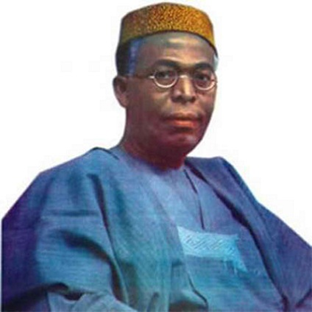 It is a pity that Chief Awolowo did not publish his memoirs before he died in a domestic accident in his hometown of Ikenne in Ogun state in the early hours of May 9, 1987. Maybe he would have shed more light on why he made those declarations. I personally believe till today that it was the speech that took the Federal Capital from Lagos, although events have proved later that taking the Federal Capital out of Lagos does not equate with taking commerce out of Lagos- thanks to Chief Bola Tinubu and his successors. Chief Awolowo’s speech stunned the nation. It was a wakeup call on General Yakubu Dan- Yuuma Gowon (83), the Head of State at that time to prepare for war and save Nigeria. If Chief Awolowo had taken Western Region and Lagos out of Nigeria, it would have been suicidal. In his book,’The Art of War’, the Chinese General Chow –Hou Wee said that “the general who wins the battle makes many calculations in his temple before the battle is fought. The general who loses makes but few calculations beforehand. What is essential in war is victory”. If Chief Awolowo had taken Western Region and Lagos out of the Federation at that time definitely Western Region and Lagos would have been the battle ground. And where were the troops and how prepared was he for a major war. At the time he made those declarations, officers of the Western Region in the Nigerian Army were less than 7%. At that time Lagos, Ibadan and Abeokuta garrisons were occupied by ‘northern troops’. Even the then Governor of Western Region, Major General Adeyinka Adebayo was not prepared for war. Chief Awolowo admitted on May 1, 1967 speech, that ‘We have neither the military might, not the overwhelming advantage of numbers here in Western Nigeria and Lagos. But we have the justice of a noble and imperishable cause on our side, namely: the right of a people to unfettered self determination. If this is so, then God is on our side and God be with us—then we have nothing whatsoever in this world to fear’. Major General James Oluleye described it better in his book titled ’Architecturing Destiny’. He wrote on page 91 of the book: “As a result of persistent pressure from my father-in-law, I sent my family to Ibadan and I remained in Kaduna. There were very few Yoruba soldiers in the North. Both ranks were not more than 150 in all. The former Head of State, Lt-Col Obasanjo and myself used to feast on Akara (fried bean cakes) almost daily. We did a lot to persuade Yoruba officers and men not to desert. By December, 1966 he was posted to Lagos and I remained behind preaching to troops not to desert. Visiting people was dangerous. I spent my leisure time reading and my outing was limited to pleasure drives to Kaduna south without calling on anybody. It was difficult time. From May, the trouble became repetitive every two months. In September of the same year, we had an intelligence report that the Northerners had fixed 29 October as the D-Day for slaughtering the Yoruba officers. There were only four senior Yoruba officers in Kaduna and in fact the North. These were Lt. Col. Obasanjo, Captains E. Akinfenwa and G. Ogundeko and myself (then a major). Following the intelligence report, we met and decided to lead a delegation to the military governor, Lt. Col. Katsina. We chose the most senior officer, Obasanjo as our spokesman. The message was to alert him about the intelligence report and the likely consequences if the plan materialised. 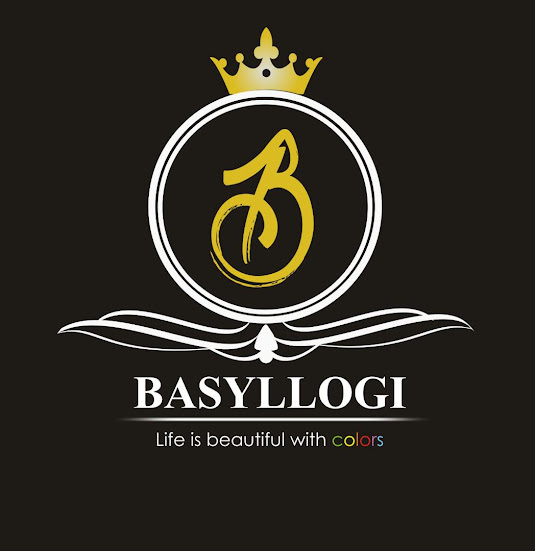 Hopefully, we secured the appointment for th following day. We went in a Land Rover and when we arrived at the Governor’s office, Obasanjo told us he was not prepared to speak. As the next senior officer, I had to make an impromptu speech before the military governor during which I stated that we were in the North contrary to the Aburi Agreement on repatriation of troops to their regions of origin and that in the interest of Nigeria, we remained without deserting and that if anything happened to the Yoruba (civilians and soldiers alike), that might be the end of the Federation. What the military governor did was unknown to us but miraculously nothing happened on October 29, 1966 which was a change from the two-monthly repetition of disasters’. After the murder of Brigadier Samuel Ademulegun, Lt Col. Adekunle Fajuyi and Col. Raph Sodeinde, only Brigadier Babafemi Olatunde Ogundipe (1924-1971) was the top Yoruba left and he ran into exile in the United Kingdom. Major General James Jayeola Oluleye, Col. Victor Banjo (1930-1967) and others serving in the Nigeria Army were not posted to the Western Region. This became a major source of concern and Chief Awolowo had to address the Federal Government at that time that the military should review the ‘occupation of the Northern troops in Western Region’. On November 30, 1966, General Yakubu Gowon addressed this issue in his broadcast to the nation when he said: “My long-term aim is the preservation of one Nigerian Army and one country. For a start, however, and because of the general distrust and suspicion in the country, the bulk of the army in each Region must be drawn from the indigenous people of that Region. In Furtherance of this aim, steps are being taken to recruit more Westerners into the Nigerian Army. I have already given instructions for recruitment to commence next week. Those who advocate the withdrawal of Northern soldiers from the Western Region admit that any immediate wholesale withdrawal of Northern soldiers from the Western Region is not practicable. Law and order and the entire national security arrangements in the Western Region will break down if the troops were withdrawn at once. The seat of the Federal Government is in Lagos. The Head of the Federal Government must therefore make special security arrangements for Lagos. This is not in dispute in all responsible quarters”. Even Major General Adebayo on May 3,1967 said that “I and senior Army Officers of Western Nigeria origin have spent the last 24 hours in consultation with the Head of the Federal Military Government. Let us face it there is no region now without its acute problems brought about by recent events; there is nowhere the people do not have their fears. Ours in Western Nigeria have been spelt out again and it has been my duty every time to bring them to the notice of the Head of the Federal Military Government and my other colleagues in the Supreme Military Council”. On May 30, 1967, the Military Governor of Eastern Region, Colonel Odumegwu Ojukwu pulled the region out of Nigeria and called it Biafra. A few hours later, General ordered his arrest which eventually led to a civil war.